If I’m honest, I’m best described as a Gothic writer, in that I live reclusively in a huge mansion in the wilderness, brooding on my troubled past and panting at the very idea of committing unspeakable acts of evil on any poor innocent who wanders…wait, no, that isn’t it. The stories I read, that I write, the stories I love, are all filled with tensions and terrors that burn slowly, even coldly. They're often hidden or embedded in strict social structures. The Gothic trappings of sprawling, abandoned spaces and shadowy tyrants all stem from that reflection of rigid, real world institutions, a theme that science fiction would later grab onto and confront in often more dynamic ways. But there is great scope for the Gothic and science fiction traditions to combine elegantly – the Alien movies, for example, are just Gothic ghost stories in space – and nowhere is that combination more elegant than in the novel I firmly believe to be the first true science fiction story: Frankenstein. Published in 1818, when Mary Shelley was just 21 years old, this classic horror novel presents us with a monstrous vision of how man should not play god, drawing on mythological allusion and the romantic styles of its time. But, critically, it also undercuts all of what came before it. In contrast to realist novels of the time, where the struggle for the hero or heroine was in finding a compromise with the strictures of their society, the Gothic tradition which informs Frankenstein presents us with a hero whose ambition exceeds the limits of society and overcomes compromise by realizing that ambition of creating life, a projection of desire that nineteenth century realists would never accept in their literature. The hero who aspires greatly is regarded with distrust and ultimately frustrated, and his ambition is viewed through a lens of layered monstrosity. Far from purely fantastical, however, the horrors of the story are rooted in a strong sense of what was then considered scientific fact. It is by relying on that idea of scientific possibility that Mary Shelley moves the focus of the horror from the sensational monster and onto the greater monstrosity of his creator. This monstrosity lies in a landscape of the human mind. The monster’s appearance is not his own doing; his true monstrosity lies in the manner of his creation. He seems the product of supernatural workings, but unlike most Gothic novels Frankenstein eschews the supernatural. Apart from a sensational first principle – bringing the dead to life – Shelley largely confines the consequences of that act to the possible, with consistent characterization and surface details that are both recognizable from ordinary experience and follow inexorably from the monster’s existence. While this does not serve to place the novel within the tradition of realism, its effect and power still derive from a rejection of arbitrariness, of Shelley’s pursuit of a logical set of consequences from her initial conceit. Her focus on the hero’s mind and her eschewing of supernatural intervention allows her to explore the moral reality of heroism. Where that evil actually comes from remains a mystery. The monster’s evil is easily explained in terms of his mistreatment. That Victor’s exists in the absence of any childhood suffering leaves us with an irrational world where his actions become a metaphor for the universal loss of innocence that comes with knowledge, a disenchantment that affects every major character in the novel. Shelley favors science over miracle, and eschews arbitrariness in favor of a logical pursuit of consequence to conclusion. Monstrosity is imagined on a landscape of the human mind, with the monster revealed, in contrast to his creator, as the relative innocent. This was a radical revision of the hero narrative for the time, and one that couldn't have been as elegantly effected without the unison of the Gothic stretch of belief with chilling plausibility of the elements of science fiction. In marrying the two, Shelley created a vision of evil as being uniquely human; and utterly uncontrollable for it. A frightened child, turning to the only person who can save him. A prison full of vicious inmates, generously judged by a seasonally kind man. A young, weary couple, suffering a strange harassment from the unlikeliest of places. A cold night that claims its own, and the hope of a man who walks with the darkest of damnations. 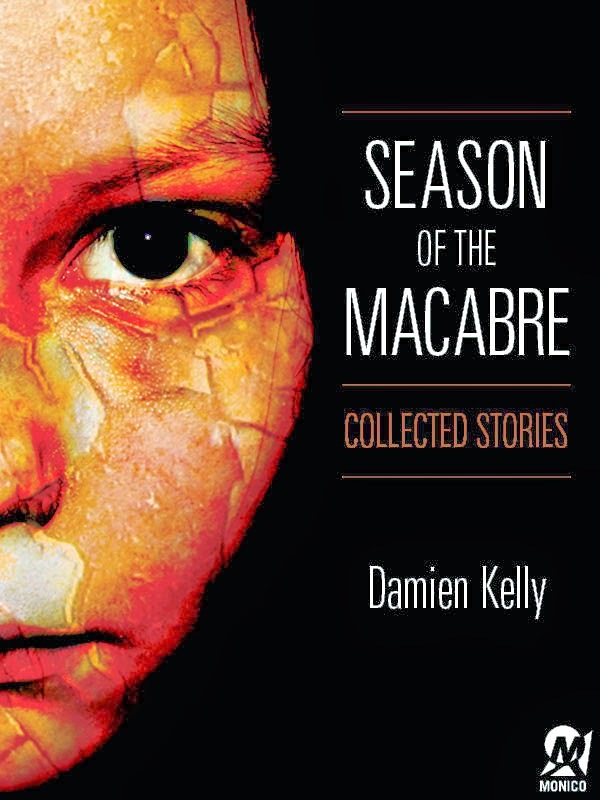 These and other stories of the macabre are here to delight and chill the reader. 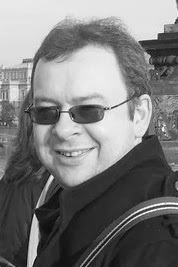 Damien Kelly is a writer and psychology lecturer living in the untamed wilderness of the northwest of Ireland. He's married to a beautiful pathologist and has two precocious children to fret over. The horror practically writes itself. 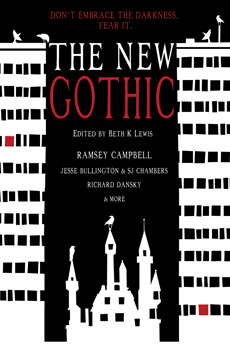 Damien's newest story, “The Whipping Boy” can be read in The New Gothic, edited by Beth K. Lewis and published by Stone Skin Press. Giveaway ends on November 29, 11:59PM. I have to admit, I have yet to read Frankenstein but it's definitely on my list. I love Damien's description of Alien, and his wonderful commentary on the book. Shelley was so clever in making Frankenstein, rather than the monster, the actual monstrosity. I didn't realise she was only 21 when she wrote it - makes her feat even more impressive! Rinn, thank you for stopping by. This is a really great post. As a newbie to the genre (and to Shelley's work), I am learning a lot. "The horror practically writes itself." I like that. I understand this author. I really enjoyed reading this post, especially since I was just talking about Frankenstein the other day with some friends. I still haven't read it yet, but I'm really hoping to in the next couple of months. Thanks for stopping my blog, Ara! I loved Frankenstein but never thought it belonged to the sci-fi genre. Brilliant mind that Shelley had!